This could be my last post on this blog. I may not survive this match. Because Milan is literally killing me. And because this matchup, with this team, this coach, at that stadium, and at this time is a fate worse than death. Juve are top of the table with 50 points, seven points ahead of second place Roma. Allegri was given a winning squad and somehow hasn’t totally derailed it just yet. But of course, with the squad they have, the bench, and the stability, it will take even Allegri longer than half a season to destroy it. For example, our former Pirlo, who was given just a pen by Galliani as a parting gift after ten years at Milan and then kicked to the curb, has become a homeless person and forsaken all class and all loyalty, but unfortunately not his talent. The things he wrote in his book were shameful, and forever changed the respect I once held for him as a person. Still has yet to lift another Champions League trophy, though. I guess money doesn’t buy quite everything. Or Matri, the player we bought for Allegri and from Juve for €11m payable in installments over four years -- now we are paying those installments for Juve to have him on loan from us. The douchebaggery and sheer stupidity from Galliani on that one is mindboggling. But worse would be to see him in a Juve shirt again with his damned duck celebration. Because you know he’ll score against us, since he just couldn’t manage to score for us. Just kill me now. It's not you so much as it's us. And when I say us, I mean Galliani. 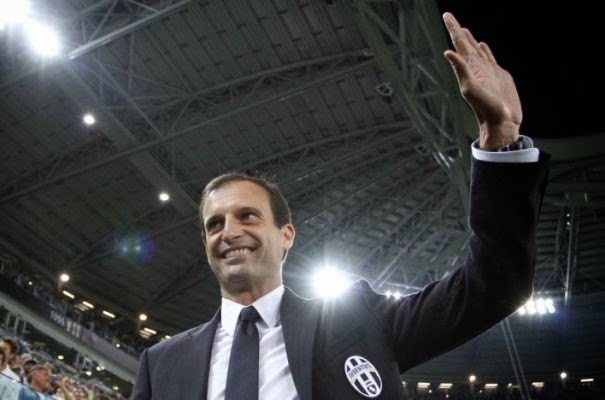 Everyone’s favorite jovial and lovable brilliant tactician oversaw a 0-0 draw to Udinese last week. I’m sure he said that Juve played well but were just lacking the goal. While I could hope that he mesmerizes them into a similar performance against us with his trollface and screaming Dai Dai Dai, I doubt we could be so lucky. In that match, he lined up Buffon; Chiellini, Caceres, Bonucci; Pogba, Pirlo, Lichtsteiner, Evra, Pereyra; Tevez and Llorente. However Lichtsteiner will be suspended for this match, and Caceres, Marrone, Romulo, and Asamoah are out injured. Vidal and Evra are still doubtful as of this writing, and there is also a chance that Tevez could miss. But don’t start feeling sorry for the Zebras, Inzaghi is missing Abate, Bonera, Zapata, El Shaarawy, Mastour, Bonaventura, and De Sciglio, with doubts surrounding the return of De Jong, Montolivo, Albertazzi, and Alex due to fitness issues. Additionally, both Mexes and Destro are suspended for that match. Earlier in the season, Inzaghi would say that he was spoilt for choices, which I now realize was his polite way of saying “Stop buying all of these crap players.” Still, with this injury crisis, I think he’d be happy with any able-bodied player, which is why you will likely see some Primavera players called up for this one. For heaven's sake, Allegri, don't eat him! For me, it’s not the obsessive compulsive winning. I don’t buy into all of the stories of doping or cheating or match-fixing, in fact I agree that Juventus were wronged in the Calciopoli scandal. It’s just this Juve team. At that stadium. With these Juve players. And this Juve coach. And these entitled fans. The more they win, the worse they get. I know what happens when the rich get richer… the poor will rise up. But what I will never understand is why the rich and winning get exponentially more entitled. But then again, if your club motto is “Winning isn’t everything, it’s the only thing,” then I should have expected no less. No room for class or character with a motto like that. Still, it’s never fun to have to sit through, and even less fun when we are in such a state of crisis right now. So if I don’t survive this one, just know I’m in a better place. Because this match will be a fate worse than death. This match will be shown on RAI and BeIN Sports in the U.S.
Mattia Destro: The Right Man For Milan? Milan vs. Empoli: A Pox Be Upon Ye!